My eldest daughter is no stranger to computers – she has them around her at home and at school of course. She enjoys using them, but mainly for the educational games and normal games side of things. We also have a Nintendo Wii, which she enjoys playing with. Today though she really got excited about something… The Wii We ather channel, and not because of the weather. She got excited about twirling the globe around, zooming into and out of the map, and really got interested in where places were. She has also used Google Maps/Earth but never got excited particularly about that. The Wiimote is what made the difference. It allowed her to interact with the globe in ways she could not do using a mouse, and that is what made the difference. 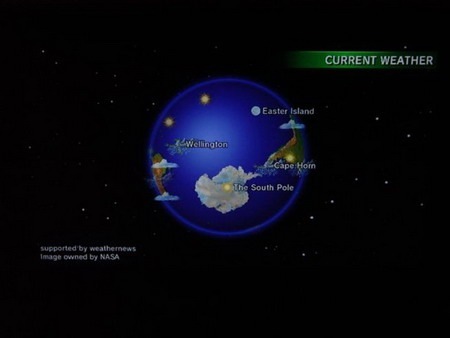 I wish Google would make a version of Google Earth for the Wii, as even though she got excited about the globe it is pretty low detail/resolution compared to seeing who is in your backyard as you do with Google Earth. So come on Nintendo – get together with Google and give us the ability to have Google Earth on the Wii with all the fun that the Wiimote can give us. Otherwise, I am going to have to investigate how a Wiimote can be made to work on a PC.